A judge Saturday imposed travel ban on a former presidential hopeful and critic of President AbdelFattah al-Sisi amid an ongoing investigation into funding for civil society groups. 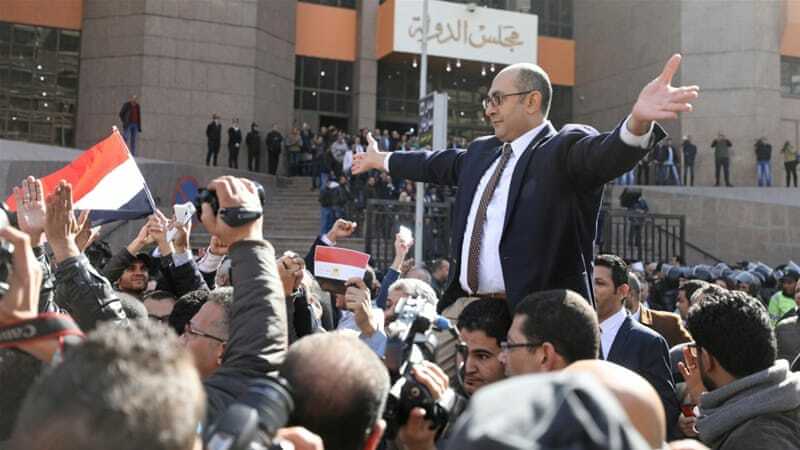 Khaled Ali was banned from leaving the country upon orders of investigating Judge Hisham Abdel Meguid. The ban, according to London-based The New Arab, is in connection with an ongoing investigation into funding for civil society groups. Egypt has been cracking down on Non-Governmental Organizations (NGOs) claiming they receive foreign funding to destabilize countries. Several NGOs and their leaders have been locked under the regime of President Al-Sisi. The regime has been harshly criticized for the crackdown on civil society groups. Written by: KanelkaTagba on October 8, 2018. Posted by KanelkaTagba on Oct 8 2018. Filed under Gulf News, Headlines. You can follow any responses to this entry through the RSS 2.0. Both comments and pings are currently closed.